I don't know about you, but nothing gets me ready for Spring like 84" of snow and record-breaking low temperatures! Many of us are creatures of habit when spring finally does come. We rake the leaves, get the kids trampoline set up, and spread "shady" seed mix on that side of our house where the grass just won't seem to grow...That's all well and good, but we have enough to do in the spring without wasting our time trying to fight the shade. Truth is, there is no such thing as a "shady" seed mix. Sure, technically you can buy a shady blend, but all you're really doing is buying a variety of seed that merely tolerates shade better than others. The key word being "tolerate". There is no turf-grass that thrives in shade!! The solution?? Well that depends on the size of the area, your budget, and how creative you want to be. Aggressive tree-trimming will buy you some time, but I prefer a more cowardly approach. Surrender! 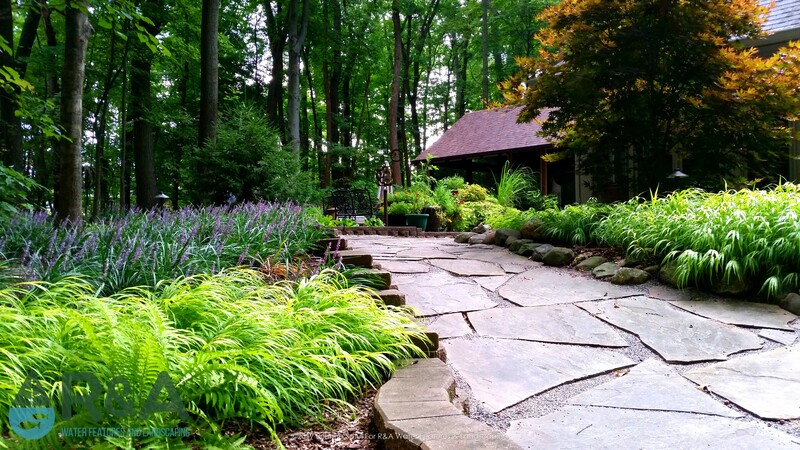 Surrender to the shade and embrace what it has to offer- with a shade garden! There are a myriad of ornamental trees, shrubs, perennials, and ground-covers that thrive(not tolerate) in the shade. And don't pay any attention to rumors about difficulty getting flowers in the shade. 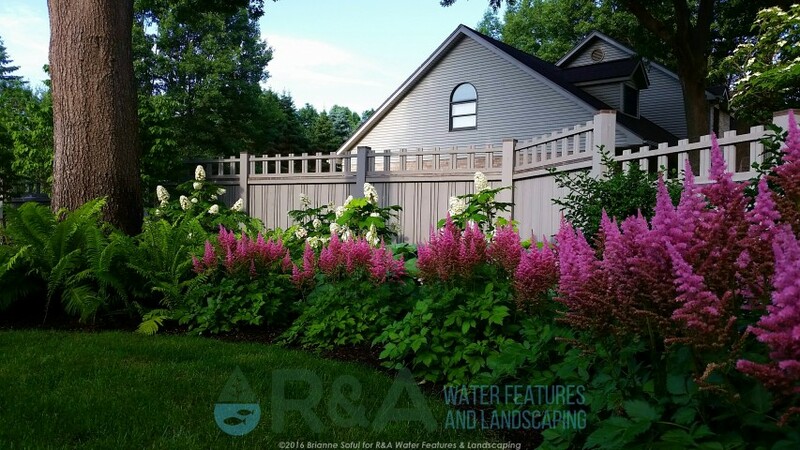 You can have blooms all year long that are accompanied by incredible foliage color and texture contrasts. With a little online research, some careful planning, and maybe a call to the experts at R&A, you could make over-seeding a distant memory!